Does the Volt have what you want out of a vehicle? Scroll past the video to find out! Stop worring about your next Chevrolet purchase; look to the the foremost Volt franchise in Springfield for well researched reviews authored by automotive enthusiasts. Everything perspective car buyers need to make cognizant decisions is right here - each paragraph is overloaded with [helpful facts and specs - all at your fingertips. 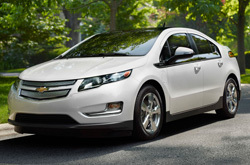 Read on to see if the 2013 Volt should be parked outside your home. Check out the 2013 Chevrolet Volt alongside versus similar autos like the 2013 Toyota Prius, Nissan Leaf, Hyundai Sonata Hybrid and the Ford Focus Electric, and you will catch that the 2013 Volt wins over those vehicles in gobs areas. Take a look at the reasons see why! Chevrolet drivers don't have to look far to find superb auto repair technicians and bona fide OEM made parts. Our Springfield area Chevrolet repair department is conveniently based by many cities and we give our customers confidence with a long warranty on each job. The manufacturer-trained technicians at our Chevrolet repair department in Springfield will help your Volt run in peak condition. We do a large spectrum of repairs, from simple windshield wiper replacement and regular inspections to more intricate jobs such as engine repair. 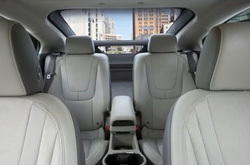 When deciding on a shop to service your Volt, make a praiseworthy choice and bring it to Reliable Chevrolet, where you'll get affordable pricing on Springfield car service and repair. Follow the link below to see our current service specials.